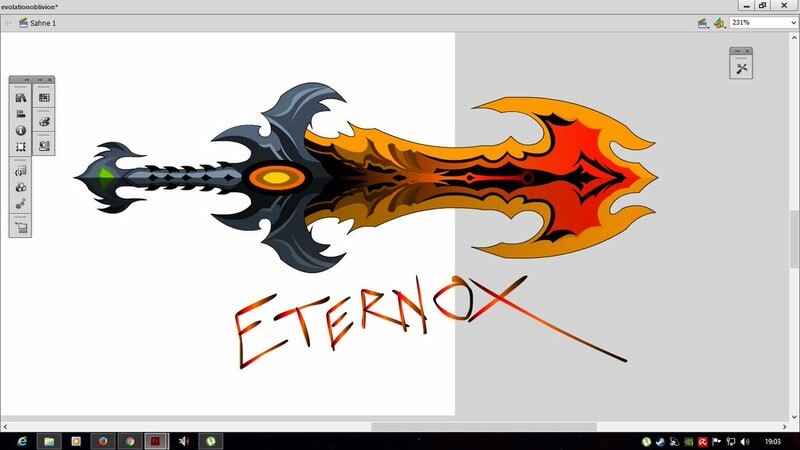 This weapon is suggested in memory of former AQW Mod Dream Warden and his efforts contributed to the game. This weapon is being cursed with the enmity of banned players. Please tweet to @HeroRenegadeFer, should you have any queries! Suggesting a Dual Sanguine for the shop in Nostalgia Quest. It is the only weapon from the altar house items set that does not have a dual variant, the other two being Dual Caladbolg and Dual Ragnarok so a Dual Sanguine would complete the set. A blade that gets fed and increases its power from the blood of your enemies. If you don't kill frequently, eventually it will feed from your blood." Here's the Twitter post if you can help! Story: This sword was made because of the people with strong hope. When the 3rd war strike at Earth the two nemesis which is the Peoples and the Martians. The Martians invaded the Earth by their powers and by their powerful thinking's. All the people were very scared, but a man named Abner told, the people that be hopeful because the light will protect us. The people was confused but, they followed what Abner said. When martians fully invaded the Earth all the people died but one has survived, a meteorite fall in the Earth, surprisingly the meteorite cracked up and a blade appeared. Our ancestors named this blade as Illuminated Blade of Hope because of Abner which means "Father of light" and illuminated is light. 1. 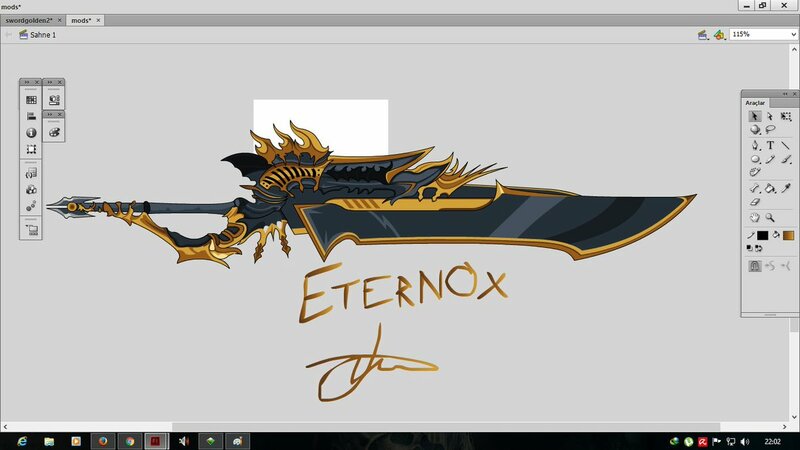 Awsome Rarity; Description: This ancient sword was forged by the gods, however, you need be care hero because this sword feeds on your soul consuming it little by little until there is nothing left. 4. Rare Rarity; Description: This spear was used by Satan in the Great War, one of the Dimensional Lords who betrayed Zodrerick and joined the QoM, this was the only weapon that survived the wrath of the great Lord of Abysmal Darkness. 5. 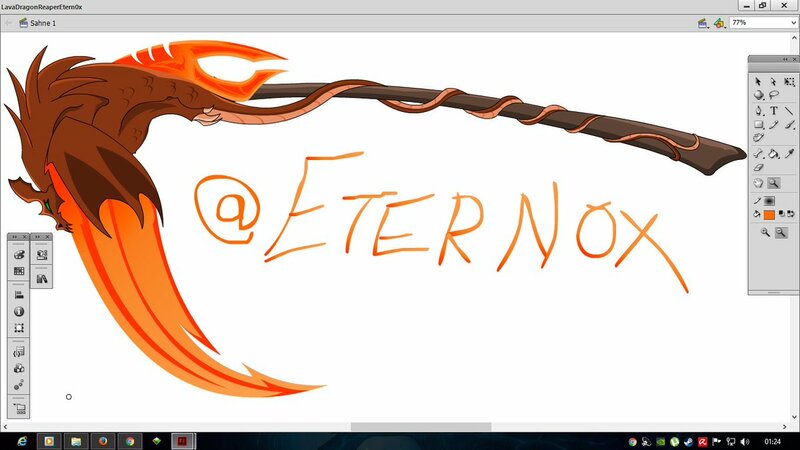 Unknow Rarity; Description: This scythe emits a tenebrous aura of darkness. 6. Secret Rarity; Description: This Cross is the key to go through the door of Zaranic guarded by Verschlinger. 7. Epic Rarity; Description: An ancient sword found in a forgotten ruins in the unknown area of the continent of Lore, the sword emits an unknown energy which gives + 10% damage to all undead monsters. Legion's Endless Despair - "Straight from Dage's Soulforge, this dark blade pulses with a malevolent energy. Did you wish to make your enemies claim for mercy? With this Legionary blade, now you can." Golden Terror - Grim and valorous, great villains and great heroes alike have wielded it so that it holds allegiance to neither. Don't get fooled by its bright appearance, it's full of evil aura. 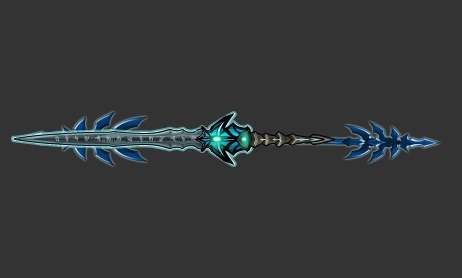 Prime Legion Edge Of Darkness - This Overpowered Dark weapon carries all evil secrets of the Legion. Are you worth enough to learn them? Evolved Underworld Harvester of Dage - The Underworld Harvester has been infused with Oblivion's crystals, which doubles the Energy, doubles the Power and doubles the Carnage. Forbidden Reaper of Miltonius - The Nation emerges. The Fiend claims for more. Go ahead, minion! Souls need to be sacrificed. Make them know that the ArchFiend's name, Nulgath, brings your destruction... a dolorous and with no mercy destruction. Underworld's Vorpal Blade - The Darkness Blade forged by the 3 Gods: Odin, Fenrir and Flamberge. 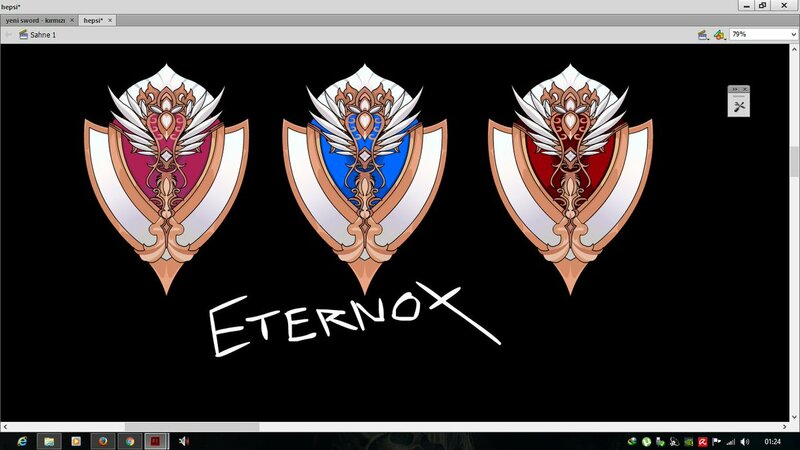 They fell in Dage's Hands. Now it contains the Legion's Full Powe: Odin's Wrath, Flamberge's Heat and Fenrir's Icy Breath"
Underworld's Vorpal Claymore - The Darkness Claymore forged by the 3 Gods: Odin, Fenrir and Flamberge. They fell in Dage's Hands. Now it contains the Legion's Full Powe: Odin's Wrath, Flamberge's Heat and Fenrir's Icy Breath"
Here are some of my item suggestions. I don't have any names for them, but I hope that isn't too much of an issue! I don't like Good-versions of existing swords where the sword blade is just a lightsaber, like the Golden Blade of Fate, or Blinding Caladbolg. 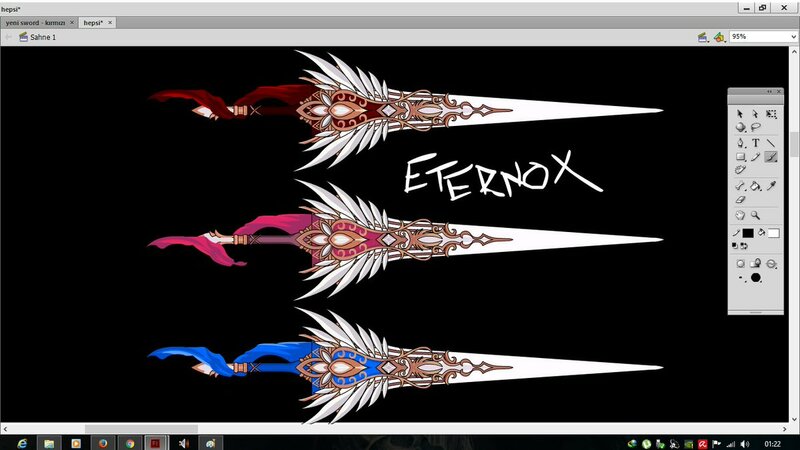 What's wrong with just changing the colour scheme to 'Good' colours, and keeping the sword blade's artwork (Caladbolg) or shading & metallic shine (GBoF) intact. I'm not against 'Blinding' lightsaber versions (although I do think they are fairly unpopular), I just don't want to see them taking the place of normal Good versions. A sketch I made a while back, I hope it gets approved as a weapon! Description- An ancient weapon used by the Dacians to counter Roman shields and helmets. The Romans feared this weapon and had to come up with counter measures for it. Do not find yourself on the wrong side of the Falx. FYI-The image for the falx has a transparent background. Here's one of my ideas to take a look at!